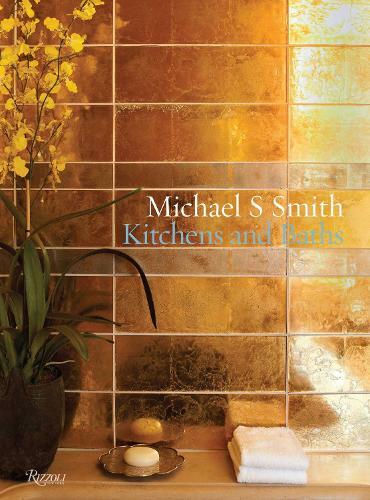 The newest book from acclaimed designer Michael S. Smith showcases his exceptional take on kitchens and baths, the busiest yet most personal rooms in a home. Legendary designer Michael S. Smith has stories to tell about kitchens and bathrooms-those he has designed himself, and those that inspire him. In this fascinating and inspirational book, Smith, who has his own line of kitchen and bath fixtures for Kohler, explains how these rooms define a house. Kitchens and bathrooms are among the most expensive and labor-intensive rooms to design. But they are also opposites, the most public and private zones of a house. In three in-depth case studies and dozens of supporting examples, Smith discusses his design process for these rooms, from big-picture issues such as the social engineering of the kitchen's layout to details large and small, including the importance of choosing the right cabinet, which can be a crystallization of the architecture of the house, as well as countertops, fixtures, floors, hardware, and more.